Find hotel near Musee Belge De La Franc-m .. 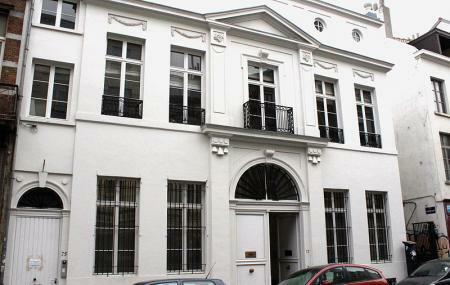 Located inside the neoclassical Hotel Dewez, the museum explores the history of Freemasons in Brussels. The thematic displays at the museum cover artefacts such as paintings, prints, engravings, jewellery, ceramics, china and documents. Most of these are from the 18th century onwards. The museum also organises special exhibits from time to time; check the museum website for details. For those really interested, the museum offers Masonic tours of Brussels, but unfortunately at this time it is in Dutch and French only. Reserve guided tours 3 weeks in advance. Très sympa, mais prenez un guide sinon l'expérience risque d'être un peu décevante. Spoko muzeum jest na co popatrzeć i posłuchać.Nie za duże ale klimat jest.Oby się powiększyło powoli. Une musee qui present tres bien le phenomen de la francmasonerie, pour tous, inities ou prophanes.